The perfect getaway. Enough room for friends and family to stay comfortably and enjoy the weekend. 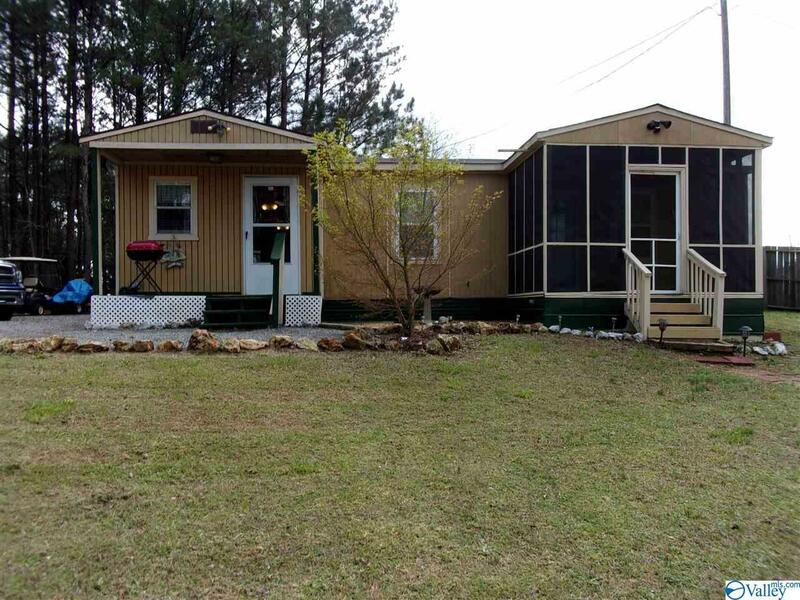 Property features a cabin with 1 bedroom 2 baths and all the amenities you need. Also there is a 2004 Rockwood camper that sleeps 6 that offers a large screened in porch to sit on and relax after a long day of playing or fishing on the Lake. There's a 20x20 shop that could easily be converted in a larger living space or to keep all the toys. There are 2 additional power and sewer hook ups for additional campers. Lots on space on this 2 acre lot to do whatever you want. Spring time is just around the bend. This great property could be yours on Weiss Lake. Call today for your appointment.